Troop 715 attended summer camp at Camp Raven Knob the week of June 18 along with troops from Texas, Ohio, Kentucky and around North Carolina. During the week our 30 boys earned merit badges in digital technology, robotics, cycling, advanced wood carving and rifle shooting just to mention a few. They earned a total of 117 merit badges and 10 rank advancements during the week. 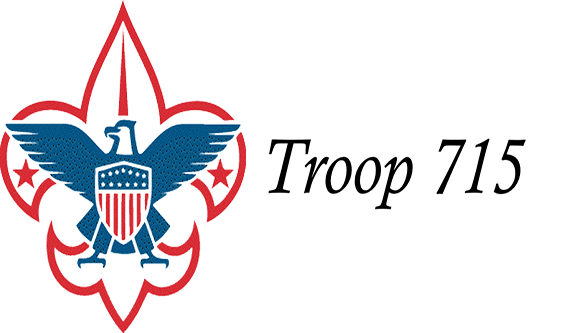 Boy Scouts of America tells us that for every 100 boys who join a scout troop, eight will enter a career that the scout learned about through the merit badge program. Our adult leaders worked on the Nathan Clark Shelter, along with adults from other troops. This shelter is being built in memory of Nathan who was a Life Scout in Troop 715. It should be completed by this fall. Thank you to everyone who made a donation to the Nathan Clark Fund to cover the cost of the materials for this shelter.